This image shows the texture of a brain coral. 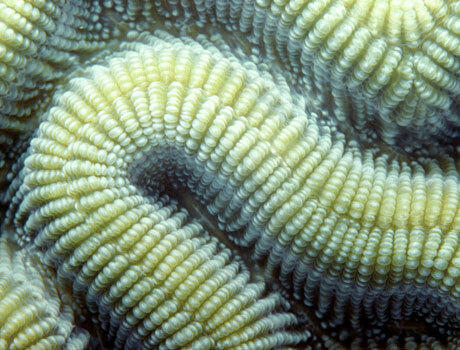 The coral gets its name from the ridges that resemble the folds of a living brain. Brain corals are known as stony corals because they have a hard, calcium skeleton. Tiny polyps emerge from this skeleton to feed on microscopic plankton.